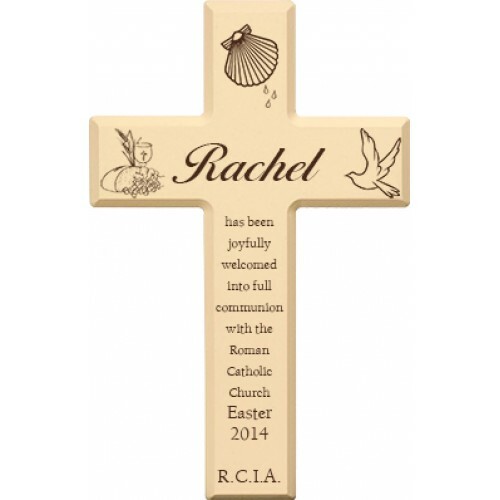 has been joyfully welcomed into full communion with the Roman Catholic Church Easter 2014 R.C.I.A. Small cross measures 11x7. 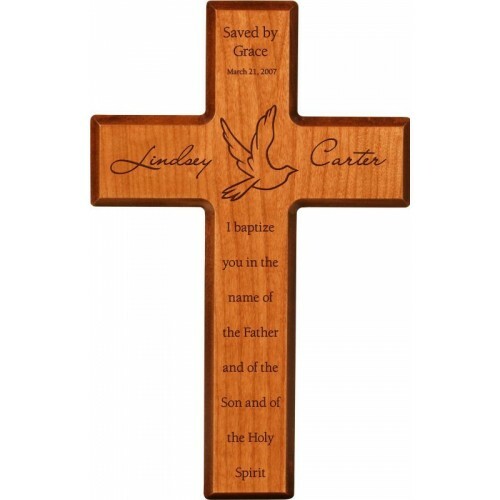 Large cross is 12x18. Wall cross. Available in ivory (white) or cherry wood. For any engraving questions or bulk orders, please email brojohnsbooks@gmail.com.